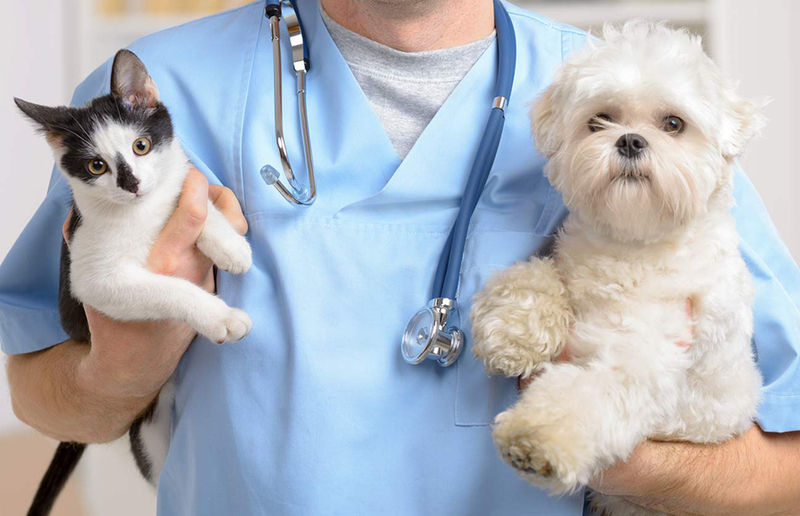 Here at the Richview Animal Hospital in Etobicoke, we will evaluate your pet's health, by using one of our many diagnostic tools and will make a recommendation based on the test results. The tests are not only done after a pet presents a health issue, but could be administered as part of a routine examination so that any disease can be found and treated early for the best outcome. Auscultation: When the veterinarian uses a stethoscope to listen to your pet's heart, just as your doctor would for you, it is called auscultation. On auscultation, the veterinarian can determine heart rate, rhythm, and sounds. Any abnormality detected may be cause for further testing. Electrocardiogram: The electrocardiogram records the electrical impulses of the heart, and reports the heart's rate and rhythm. The heart rates are different for dogs and cats -- cats have a higher heart rate. There are differences in dogs -- small dogs have a higher heart rate than larger ones. The rhythm for all dogs and cats should be regular. An irregular heartbeat, called an arrhythmia, is indicative of heart disease that needs treating. Chest X-Rays: Also called radiographs, chest x-rays will show the size and shape of the heart. If the heart is enlarged, it could be due to disease in the heart muscle or leaky valves. Either of these untreated could lead to heart failure. Brain Natiuretic Peptide. Referred to as BNP, the test sounds like an unlikely one for identifying heart disease. BNP is actually a hormone that is produced by the heart. Its rate increases when the heart muscle is stressed. It can help determine if the pet's problem is cardiac or non-cardiac in nature, especially when combined with other cardiac tests. Echocardiogram. Also known as a cardiac ultrasound, this test uses sound waves to demonstrate real-time action of the heart. It can measure the thickness of the heart walls, look at the valves, and measure the rate of blood flow through the heart. It is arguably the single-most important test used to diagnose heart disease in dogs and cats, identifying murmurs, leaky valves, and enlarged hearts. Schedule An Appointment With Our Veterinarian in Etobicoke Today! Call the Richview Animal Hospital today at 416-245-8805 to set up this important appointment. We are conveniently located at 250 Wincott Dr, Etobicoke, ON M9R 2R5.